Classic Pertex Shell with 'AquaTherm' pile lining. A Buffalo garment designed for the younger member of the family. 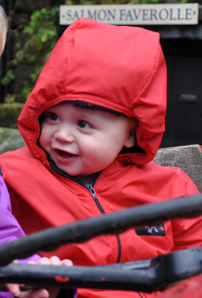 Ideal for the baby/youngster whose parents take them into the great outdoors in either papoose, push-chair or carry-cot. 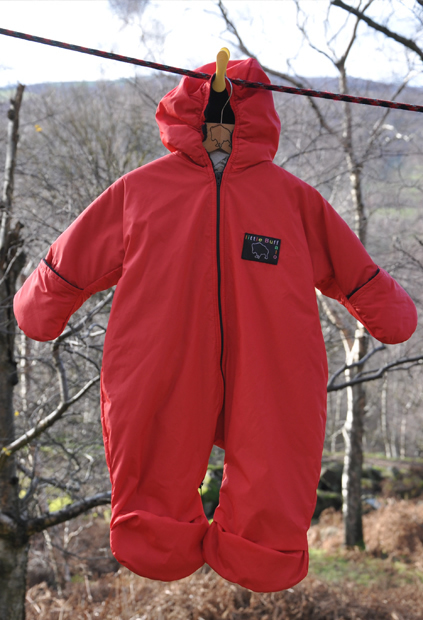 Fitted hood, enclosed feet and attached mitts on the smallest size, knitted cuffs on larger sizes. Strategically located front zip to facilitate nappy changing. 18 month: knitted cuffs for hands and feet.